Harmonic distortion is the resulting non-sinusoidal current waveform generated by a non-linear. 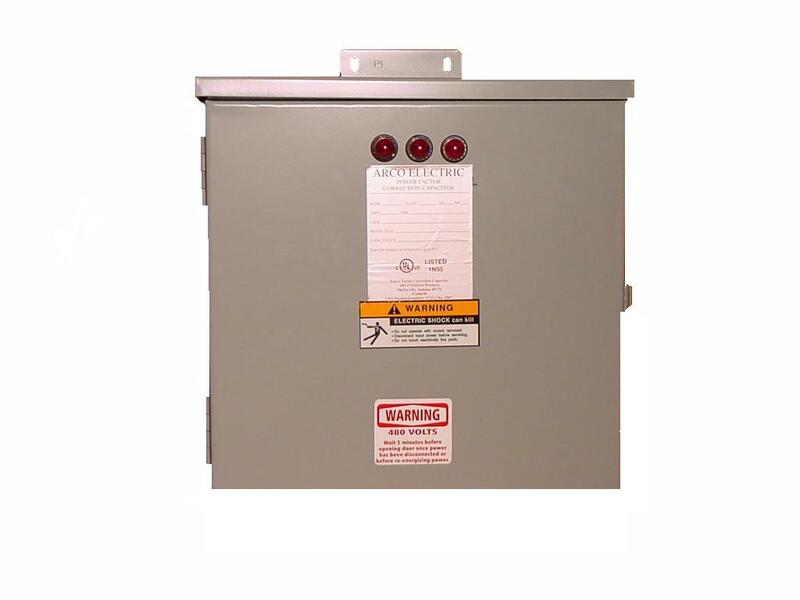 The most common non-linear load is a pulse rectifier, which is used in most switch mode power supplies, variable speed drives, and uninterruptible power supplies. The distorted current waveform generates a distorted source voltage due to the system (electrical power system) impedance. A distorted waveform can be analyzed by decomposing it into a fundamental component (line frequency) and higher frequency components of varying amplitude. The effects of harmonic distortion on metallized film capacitors are (1) higher operating temperature because of higher I2R losses, and (2) higher voltage stress on the dielectric. Both of these factors will shorten the life of a capacitor dramatically. All “High Harmonic” power factor correction capacitors are designed to handle harmonic currents. 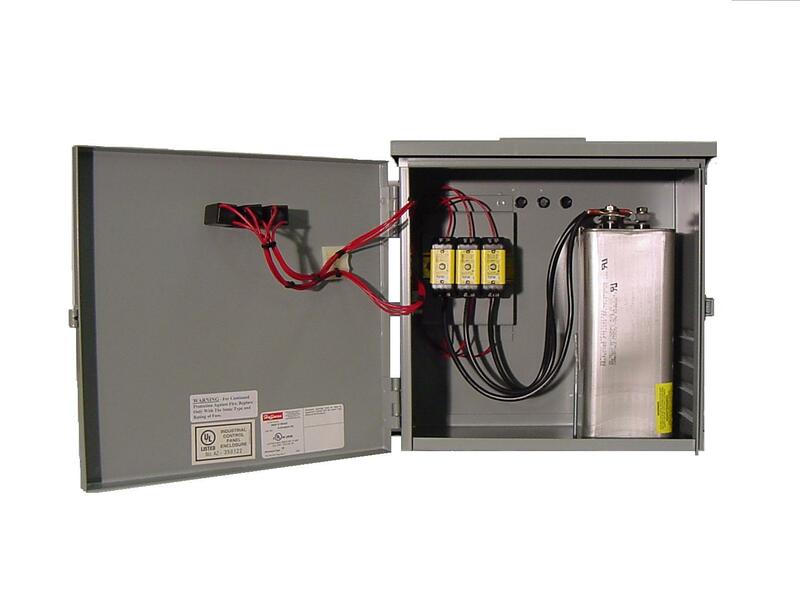 This is why ARCO Electric Products offers capacitors that are custom designed for systems with high harmonic distortion. By using the High Harmonic capacitors in your harmonic-rich application, you will have a more robust construction compared to using the standard capacitors in the same application. Tuning filter reactors may also be incorporated for use with the high harmonic cells if the THD levels are at 3% or greater in the electrical system (PLEASE CONSULT FACTORY). The detuning filter reactors prevent resonance by shifting the capacitor/ network resonance frequency to a 4.7th level which is below the first dominant harmonic level of the 5th. The detuning filter inductors shall be designed for harmonic filtering and be U. L. component recognized. Systems requiring a specifically tuned reactor lower than 4.7 should contact the factory. Construction shall be copper wire wound on steel cores. The tuning filter inductors shall be rated for three phase operation. They shall be designed and rated for 150% of the normal 50 HZ capacitor current (1.44 amperes per kVAR at 480 VAC/50HZ). Design maximum temperature rise for the tuning filter inductors shall be 115 degrees Celsius. Windings shall be copper wire (MW35C – round) (MW36C - rectangular) or copper foil. Terminations shall be tin plated copper alloy ring lugs, U. L. recognized terminal blocks, or solid copper bus. Terminations shall be pressure crimped or TIG welded to the windings. Sheet insulation shall be DuPont Nomex 410 of thickness as required for U.L. insulation systems. Completed detuning filter inductors shall be double impregnated (vacuum/pressure impregnated and baked by varnish dip and bake). All insulation systems shall be rated Class H (180 degrees Celsius) at 600 VAC. Inductors shall be Hi-Pot tested (2500 VAC 50 HZ for 1 minute) line-to-line and line-to-ground. The detuning filter inductors shall be air gapped to avoid saturation. Inductance shall be measured under full load and shall be within (+/-) 5% of design value. Inductor losses in watts per unit shall be no greater than those listed in U.L. file #E116124.